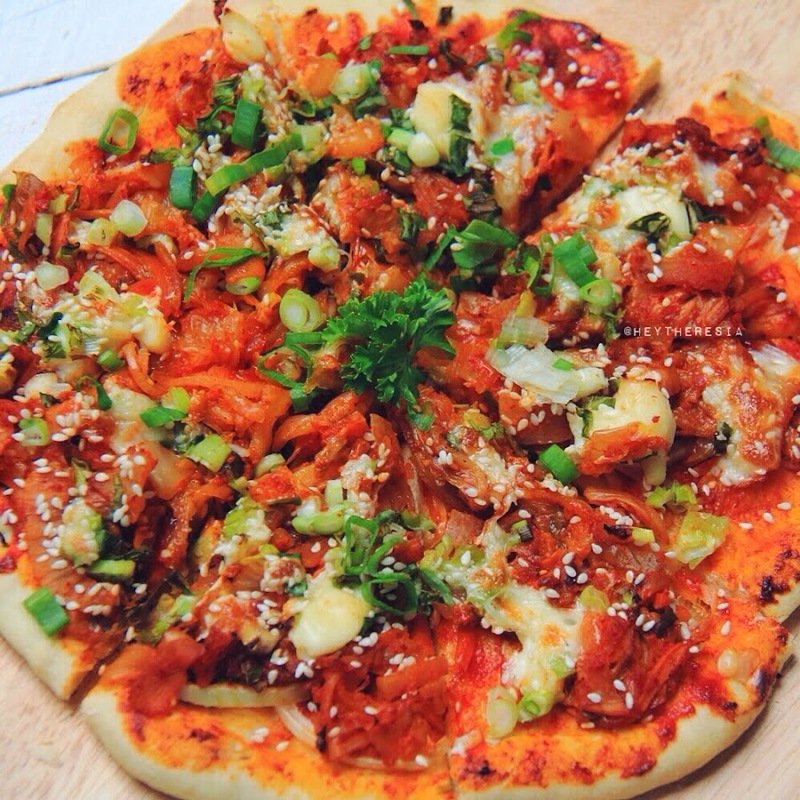 Saute the kimchi with sesame oil. 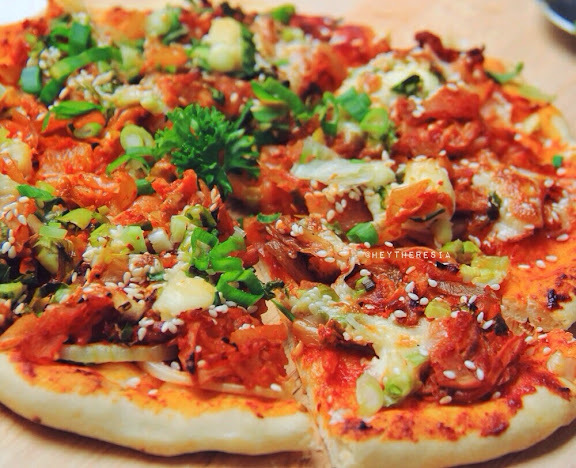 Thinly spread the gochujang over the pizza dough, add the kimchi, green onion, sesame seeds, and the cheese. Bake at 200C for about 15-20 minutes depends on how thick your dough.